Tonight is the night the second season starts. The WCHA (Just Got Tougher) playoffs should be an entertaining with 12 teams. We have previewed and predicted the opening round games in the post here. We have five game three’s this Sunday, probably a record, but the same is predicted by others who prognosticate (USCHO and CHN). Score early and get the lead. UMD is 14-2-2 when scoring first and 10-0-1 when leading after one period. These stats were displayed last weekend when the Bulldogs on Friday scored early on their way to a win. Then Saturday the first period was scoreless before UNO scored two quick goals and never looked back. Full participation in scoring and defending. The season has moved to a point where a loss and your season could be over. A minus 3 like in last Saturday’s game is just not acceptable…ever, but especially now. Make home a sweep place. Or at least make it a sweet place. 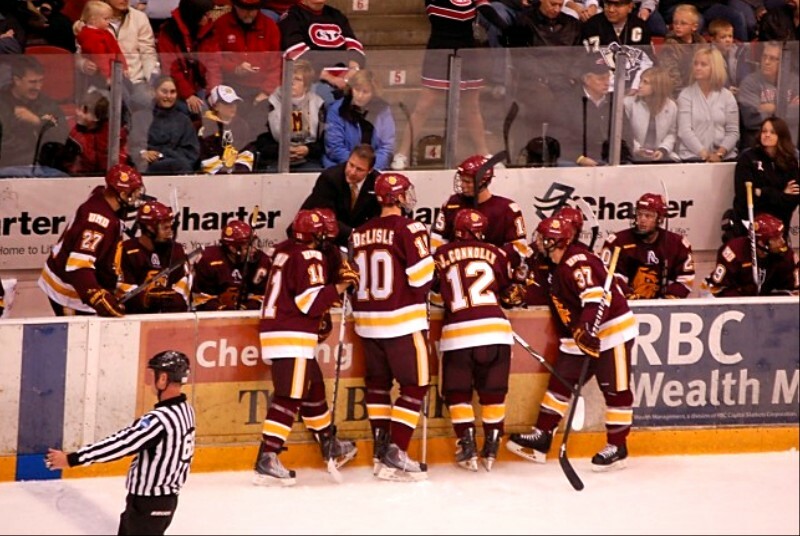 The Bulldogs are 3-4-2 in the new AMSOIL Arena. This is the right place to make it a true home. It will be difficult to get a rowdy crowd into the game with the students on Spring Break.